Cabbage Fried Rice comes to the rescue for that leftover boiled white rice. 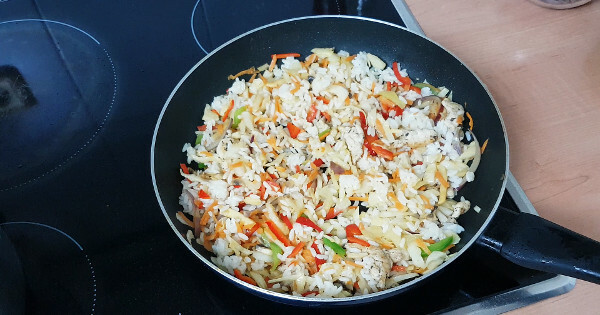 The quantities of the following Cabbage Fried Rice ingredients to use is up to you, it depends on how busy you want the rice to look. I usually go for lest rice and more cabbage. Watch the video below to see the quantities of ingredients I used. You can also use strips of beef instead of chicken. Watch the video below to see what the beef version looks like. Click here for how to make your own carrot oil. Serve with Grilled Chicken, Peppered Chicken or Onion Baked Chicken.